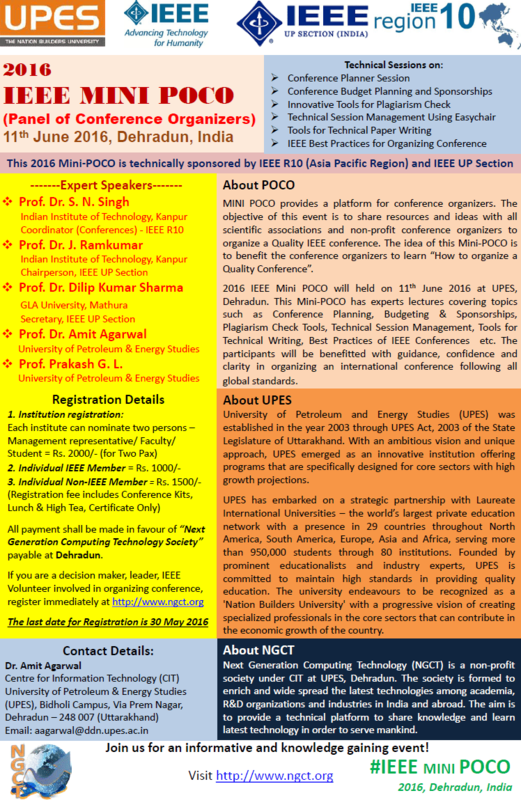 2016 IEEE Mini POCO was held on 11th June 2016 at UPES, Dehradun. This Mini-POCO had experts lectures covering topics such as Conference Planning, Budgeting & Sponsorships, Plagiarism check tools, Technical Session Management and Best pracices for IEEE Conferences etc. The participants were benefitted with guidance and clarity in organizing an international conference following all global standards.